ME21 is presented as an example and a Case Study of Artistic Research in the recently published book SHARE. 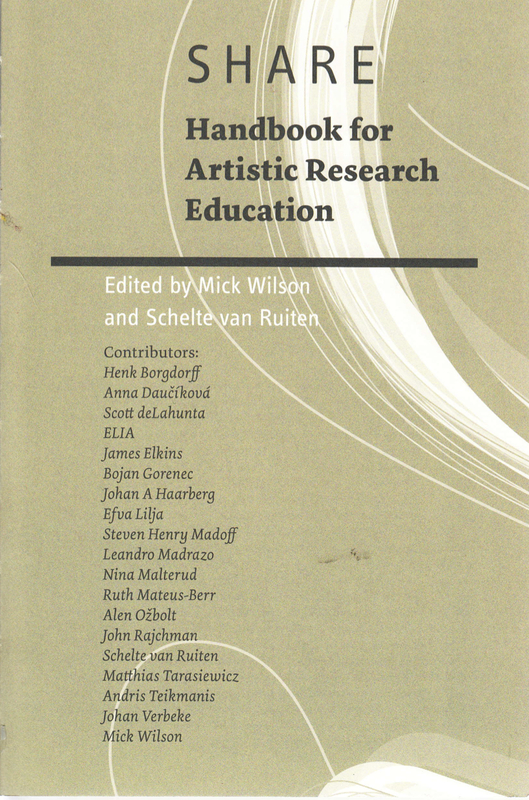 Handbook for Artistic Research Education (ed. by Mick Wilson and Schelte van Reuyten, SHARE: Amsterdam/Dublin/Gothenburg 2013). Significantly, ME21 is the only example coming from Music (all other examples relate to Film, Fine Arts, Photography, Design, Typography, and Dance).